I came across a powerful parable written by a Haitian pastor illustrating to his congregation the need for total commitment to the Lord. A certain man wanted to sell his house for two thousand dollars. Another man wanted very badly to buy it but couldn't afford the full price the owner was asking. After much bargaining, however, he agreed to sell the house to the poor man for half the original price -- along with just one stipulation: He would retain ownership of one small nail protruding from just over the door. The devil has only come to steal, kill and destroy. 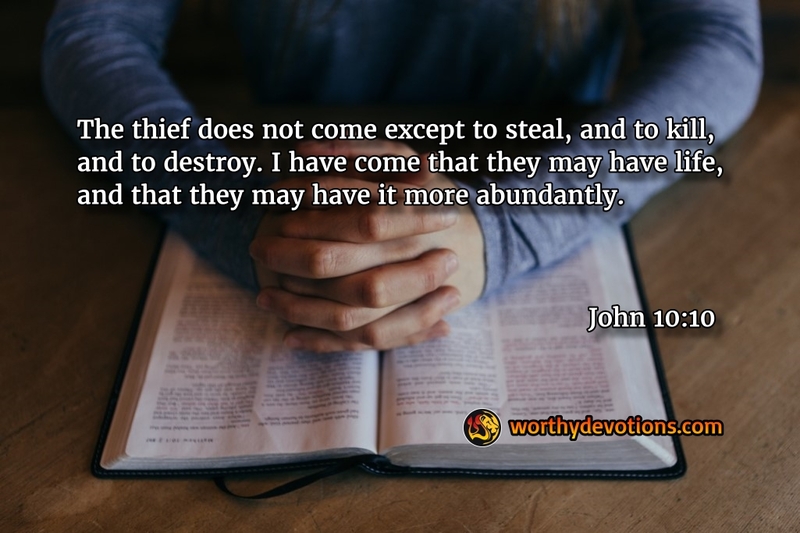 He can be very crafty and he would love nothing more than to steal from us our very inhabitance in the Lord. Let's ask the Lord to reveal any pegs we may be leaving for the devil today and take back all that belongs to us -- for this truly is the season of repentance! You're in the hands of the Good Shepherd! Who is truly your enemy? I am battling a peg in my life and my heart is so encouraged that surely the garbage will be removed....my life will will be garbage free...Yes! !